The Marmot report (easy read version) is about the difference between the way people get healthcare if they have a learning disability and how people get healthcare if they are not disabled. This matters because people with learning disabilities are dying 15-20 years earlier than their non- disabled peers. There are many reasons that this is happening, including being poorer than other people, living in poorer housing and being lonely- which are all causes of depression, stress and other illnesses. This is unacceptable, and things need to be changed for the better. There needs to be properly accessible, good quality housing and the support to find it. There needs to be information available about affordable heating and bills. There are schemes to help with bills, but people don’t know about them. Independent living needs to be properly funded. There needs to be somebody put in charge to make sure things get better -a learning disability tsar. Support to have real friendships and relationships is important as this can help stop loneliness. Information about clubs and events specially for people with learning disabilities needs to be widely available. Accessible information about money and financial support also needs to be easy to find. Many of these deaths could be prevented. There need to be proper health checks and a health plan, which are reviewed regularly depending on the health of the individual. Good quality, accessible information about keeping healthy needs to be easily available. People should be encouraged to join in with some sort of exercise or sports. People need to keep mentally healthy too. LDE sent out a ‘Winter Special’ with lots of information about keeping warm and keeping healthy. There should be community learning disability nurses who are trained to support people in their own community and be a link to other services. Many people with learning disabilities find the support offered by complementary therapies to be really helpful. This needs to be affordable as many people with learning disabilities don’t have a job and don’t have much money. People & children with learning disabilities may have other long-term serious health problems, like asthma, which all need the correct care and support. Good health care and support should be lifelong, which would mean people with learning disabilities could get proper treatment & support and wouldn’t die so soon. Children with learning disabilities are more likely to have mental health conditions, thought to be a third of these children – this needs to be properly treated, not always with drugs, but talking & practical therapies too. There needs to be people trained specially to deal with children’s mental health. Teenagers need specialist services of their own. 1 in 3 children with learning disabilities get free school meals, but this depends on a family’s circumstances. If problems are treated early, it will save money later on. Inclusive education should be the norm, where children with learning disabilities are educated in mainstream schools. Communities need to be trained and set up to be completely inclusive. People should live in the community and area that they choose and not be kept in hospitals or institutions (ATUs) because there is nowhere else for them to live. People with learning disabilities have lots of skills that could be used in the workplace, but they find it hard to get paid work. There needs to be employment fairs for people with learning disabilities. People with learning disabilities should be able to have a real career and receive proper pay for it. There should be help available if a person with learning disabilities wants to set up their own business. They are often on very low pay or benefits and are often caught in the benefits trap. Lots of disabled people are losing their benefits when being reassessed – this causes stress, anxiety and worries and is not good for mental health. People who are unemployed are likely to be poor, suffering from mental health problems. There needs to be more further / adult education classes so that people can keep themselves occupied during the day and gain skills that could be used in the workplace. This will benefit the national and local economy. People with learning disabilities need help to tackle discrimination as they are more likely to be affected than people with learning disabilities. People from ethnic minorities, of different genders and sexual preferences with learning disabilities, can be doubly discriminated against. Dimensions hate crime training of police officers is helping to make people and police officers aware that the bullying and discrimination of people with learning disabilities is unacceptable and can lead to serious mental health problems. Respond are an organisation who support people with learning disabilities when they have experienced trauma or abuse. Education of all children needs to tackle hate crime – if they are taught early then there will be fewer problems as they become adults. Support for people with learning disabilities needs to be properly funded. People with learning disabilities need enough money to live the life they want – a good life. Banks and building societies need to make proper provisions for people with learning disabilities so that they can manage their own money. People with learning disabilities in prison need proper support to help them understand what happened and why they are in prison and avoid coming back again. An individual approach to support is essential because everyone is different. There needs to be support for families and friends and those caring for people with learning disabilities as they need help too. People with learning disabilities need to feel part of a family and a community – in whichever way they chose. It is good to see that the report includes success stories from around the world and makes recommendations about what should happen next. Public and charitable organisations need to take part in research and look at good practice around the world. In October, the Solve Sleep-Ins Alliance wrote an open letter to ministers as we are worried that essential overnight social care support services are at risk. This is because the government hasn’t offered enough guidance to help people understand what to expect, or do about the decision that staff who work sleep-in shifts don’t need to be paid the national minimum wage. The letter specifically asked for an explanation about how staff should be paid for sleep-ins and how this will be funded by commissioners. You can read the full letter here. MP Kelly Tolhurst responded to the letter. You can read her letter in full here. The letter recognised the current situation around sleep-ins as an issue. A key message being that the Department of Health and Social Care is telling local authorities and commissioners they should not be using the Court of Appeals judgement as a chance to radically change their fee-paying practices. We know this is an issue that matter to all our members. As part of our support for the Alliance we have created a survey to collect the views of Personal Budget holders, people who use Direct Payments and families. We are interested in how the issues around sleep ins are affecting you, your family and staff; especially if funding you receive for sleep-ins has changed. We would appreciate you taking the time to help us gather evidence to support the alliances’ work. The survey should only take a few minutes to complete. We are working with the Alzheimers Society and Dimensions to share examples of how people are being supported to live a good life even though often the service system sees them as having complex needs. Tim and Andrew are part of the session sharing what they have been involved in with New Prospects in Whitley Bay. Building Community, not fighting for inclusion? Everyone in – what this session is about? The session will share practical examples of how people traditionally viewed as having complex support needs are being supported in a variety of different settings to maintain or build relationships, activities or work with a focus on a good life not only their support or care needs. Andrew is an award-winning volunteer and community activist. Well known, well respected and well connected. Andrew is nosey, helpful, genuine and friendly; his brain hosts a web of names, stories and connections – the key traits of a community builder. A life, not a service? Jennie Cox and Sarah Charlton are Local Area Coordinators in York. The LAC programme has been running for 18 months in York and has already seen some great impact on people’s lives and futures, including those labelled as having complex needs. We are place-based, strengths-based practitioners offering person-centred, flexible, support to individuals and families in defined geographical areas. Our roles involve community capacity building to promote greater social inclusion for all. Our roles are also integral to system change in coproduction with several other innovative programmes in York, such as our Future Focus adult social care transformation programme, our Social Prescribing service and the Multiple Complex Needs Network. We are social innovators, expert generalists and specialists in thinking outside the box. Salary: £17,700.80 per annum (pro rata), rising to £19,624.80 (pro rata) upon successful completion of probation. Centre 404 is a friendly, local and thriving charity with an excellent reputation for providing high-quality services to children and adults with learning disabilities and their families throughout North London. SeeAbility is looking to employ Eye Care Champions in the North West and in London. The jobs are for people with lived experience and also people with experience from work. You will be helping people with learning disabilities to get the eye care they need. SeeAbility provide specialist support, accommodation and eye care help for people with learning disabilities, autism and sight loss. 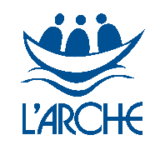 L’Arche is a worldwide movement where people with and without learning disabilities share life together and contribute to a more human society. In the UK, L’Arche is a registered charity, overseeing 10 communities and 2 projects – vibrant places of welcome, belonging and celebration – enabling people with learning disabilities through opportunities and support needed to lead fulfilling and empowered lives. We are looking for an inspirational and highly capable National Leader; to pursue strategic goals, offer spiritual leadership, ensure sustainability across our communities, raising our public profile, inspiring philanthropy and strengthening our ongoing development. The National Leader working closely with the National Board and national team, will deliver a strategic plan, ensure financial sustainability, oversee compliance to regulations ensuring sustainable high quality services. The National Leader is also a member of the International Leadership Team, ensuring unity and solidarity of the International Federation. The successful candidate’s own values will be consistent with those of L’Arche. S/he will have commitment to the vision and mission of L’Arche, be an excellent communicator both internally and externally, have demonstrable leadership qualities and experience, including in a complex organisation. We would expect the National Leader to have compassion, courage, integrity and humility. This role will entail extensive travel throughout the UK and some international travel. Centre 404 is a friendly, local and thriving charity with an excellent reputation for providing high quality services to children and adults with learning disabilities and their families throughout North London. 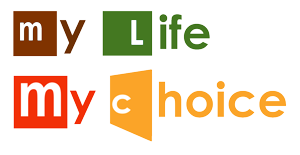 My Life My Choice is now recruiting for a full-time Gig Buddies Coordinator. Full details of the post can be found here and the Job Description and an Application Form are also attached to this email. What next for social care? The CQC are seeing what is good about services and what is bad about services. The CQC look at all the things like health and social care. Most of the people they asked say their services are good. Some services are not checked by CQC. I worry about what happens in those services to check people have good support and are listened to. People said they needed more continuity. The CQC found that in lots of places it was really difficult to find staff who stay long term in their jobs. This makes it much harder to have good services because we know that people find it difficult to adjust to a change of staff. Things get better when people know each other well. It is also better for staff when they have a good job they can stay in long term. The pay for social care staff is very bad and the cost of living is going up really quickly. People have families they have to support. To get good staff who will stay long term they need to have career opportunities and be better paid. Services need to be better at monitoring their staff. Services should have to employ people with learning disabilities and family members to help with that monitoring and training. Once you’ve got a service going, they always have to make themselves look good. When the CQC comes around they make sure it all looks its best then they can go back to the old ways if they are not a good service. We need to see more people with learning disabilities and more family members working for the CQC themselves. The most important thing is for services to change to be better in the longer term. The CQC is very good at inspecting and telling people what they have seen. They don’t have the power to actually make much better. Health and hygiene inspectors have the power to shut down places like takeaways if they aren’t clean enough and make sure they stay closed until they are clean enough. I think the CQC should be able to do something like that and work with the services to help them get better. CQC can tell services to change but we need help for services to change led by what people with learning disabilities know makes good support. There’s going to be a 10 year plan for the health service. There needs to be a 10 year plan for social care. Learning Disability England (LDE) has been asked questions about 1 of its Trustees and if they should be part of LDE’s governance because of things they have been involved in as part of their job. You can read all about it and what LDE has done before, read the 10th October update. The Representative Body and Trustees met this week and made a decision about Peter Kinsey as a Trustee as well as what we will do next to keep making how we work better. We will keep sharing our work on this and are interested to get feedback or answer any questions our members or other people have. You can get in touch with Sam Clark if you want to talk about this or tell us anything. After a lot of different meetings and feedback, including the 7 events we helped NHS England organise, they have shared an update on what they are doing now. There is a short film and a presentation that explains what priorities they are working on and what will happen next. We are really pleased that services for people with a learning disability and autistic people are a priority in the new 10 year NHS plan. Over the past month there have been lots of events run by NHS England and partners, so everyone can talk about what the priorities should be to improve the lives of people with a learning disability, people with autism and their families. Learning Disability England ran 7 of these events up and down the country. As a result, we have enabled lots of discussions to take place about what the priorities should be. To explain what has gone on and what we’ve heard, NHS England has also produced a set of slides about the long-term plan. You might want to use these in conversations as they are a handy way of presenting news about developing the long-term plan. The slides are available here. NHS England Learning Disability and Autism Forum for email updates about work at NHS England of interest to people with a learning disability, autism or both and families, carers and supporting organisations. Email engage@nhs.net to sign up. Learning Disability England shared the information about the Tribunal decision on our social media and we put it in our newsletter because it is an important decision. It was also important to tell our members because the Chief Executive of CMG, Peter Kinsey is a Trustee of LDE. We told people that we had heard the questions, shared what the questions were, and what we planned to do to deal with them. We put this on our website and in our newsletter, so all our members would know. LDE has six paid members of staff. Four of those people work part time for LDE. We work flexibly to make sure the 3 disabled team members are well supported to do their work and those with caring responsibilities can balance home and work. Everyone at LDE believes that it is very important to make sure that we decide things together. We want to make sure that every disabled person fully understands the issues we are working on and is properly supported to give their own opinion or decisions on issues. We also believe in making employment work for disabled people who have the kind of conditions that some employers think are too hard to make reasonable adjustments for. This means our paid employees who are disabled all work part time, sometimes only for a few hours a week, when their health allows them to do so. Being considerate of other people’s needs and planning around them so that everyone can participate, is the first part of everything we do. We know this means we work more slowly than other organisations. We think that being properly inclusive is more important than being quick. We have twenty volunteers on our current board and elected representative body. These volunteers live and work all over England. We do not have a central office for LDE. We use technology to keep in touch with each other and make it possible for people to work from home. This is good because it means we don’t have to pay for an office, but it means it can be difficult to arrange for everyone to be in one place at the same time to discuss important issues. It also means it can be difficult to make sure the support each disabled person needs are in the same place, at the same time as that disabled person. Five people on our elected representative body have learning disabilities. Some have support in their day to day lives, some don’t. The issues our representative body are asked to understand and decide on can be very complex. We think that supporting people to properly understand these issues and to make their own decisions, so they can represent the other disabled people who elected them, is the most important part of our work. We know it takes a long time, especially as we don’t all work in one place, but we think it is more important to do it properly. LDE’s rules say the Representative Body leads on policy decisions, but the Trustees hold the final legal responsibility. The rules say the board and the representative body should work together to make sure LDE is led by its members and does what it says it will. We realised that we did not have the policies or ways of working set up that made it clear what LDE should do in a situation like this. It was also clear from what people said that people inside and outside LDE had different ideas on what LDE should do and who should be included, or not included in LDE. We realised these questions bring up some of the core issues LDE should be clear on as a membership organisation working with different groups of people and different kinds of members. LDE is still working out what its aims and rules mean in practice and some of the people involved are still quite new. Because we are also trying to find a new way of working which enables disabled people to work as they need to, there isn’t an easy model for us to follow. We are not a disabled people’s organisation, or a user led organisation, so the models they use aren’t quite right for us and we don’t work like the large, charities do. We have to work it out together as we are going along. We decided we needed to try to think about this as two main issues. One to make LDE’s policy and long-term ways of working on governance. One to decide what LDE should do about the CMG Tribunal decision. We decided that the Representative Body members would lead on these decisions. A group of people said they would look at the policy in early September. Some others said they would meet with Peter in September too. We knew that by working like this it would take us longer, but we decided that it could be considered a reasonable adjustment and fitted with our aims and values. That meant we thought it was better to work this way than some people decided alone or just the staff make the decisions. Five members of the Representative Body met on 6th September. They talked about LDE’s rules and ways of working. That group had some ideas for the policy. We shared those by email. Some people agreed with some of the ideas, but not all of them. Before this meeting, we thought that people might all agree with the other people in their group, but that didn’t happen. People from each group have different ideas and agree with people from different groups. This means not all the self advocates agree with each other, not all the family members agree with each other, and not all the professionals agree with each other. Some people from the Rep Body have not had their say yet as they could not get to that meeting or join in using technology. We also need to include views from the family members who contacted us after reading our newsletter. The family members also had different ideas. The policy will be talked about at a meeting on 15th October. We hope that more people can be included that way. Everyone agreed that it is important to decide if Peter should be a trustee at LDE based on good information. People want to hear what Peter thinks and his answers to the questions people are asking about CMG and LDE. On 27th September a rep met with Peter and a trustee was there to make notes. We had planned for at least two reps to go to the meeting, but some people could not make it. We decided that because things were taking time to sort out, and that people outside LDE didn’t understand why, that this time it was more important to meet than delay more. The feedback on everyone’s ideas so far for the policy, the comments from members and on social media and notes from the meeting with Peter have all been shared with all the Representative Body members and the Trustees. There is a meeting on 15th October which most reps will be at and this is the first thing they will make decisions on. We will share the decisions the representative body make in October. We will work out how all our members can have a say on LDE’s policies and ways of working on these questions and other important issues. We know that by working this way it can seem frustrating to people outside LDE, and we are sorry for that. We want LDE to be democratic and listen to members, but we also want to make sure that we work in a way that means disabled people, and particularly learning disabled people are fully involved in our decision making. We are constantly working out how to make the best use of our time and live the values we hold. We won’t always get it right, but we do hope people understand we are always trying to find the right balance between disabled people being fully included in decision making and acting fast enough on what matters to members and the organisation. This includes Leading Disability England who’s members include people with learning disabilities, families, allies and professionals as well as provider organisations. Our recent feedback from members shows how much those 3 groups agree on the problems in the proposed changes. There is a risk that we take away people’s independence and giving power to people that may not be doing a good job – look at Winterbourne View. Depriving someone of their liberty is one of the most serious things the state can ever do to it’s citizens. It means that even if you can tell people what you want, you can’t decide for yourself things like what you want to do, or where you live. Sometimes it is right to take away people’s freedoms, for example if someone has done something bad like attacking another person, then there will be what is called a trial. A trial looks at what happened, and what everybody says they think happened. Then a jury decide whether someone is guilty or not. That means they think the person did do something wrong and can be punished. If they have done something very seriously wrong, the person might be sent to prison. It is very important that this decision is made by what is called a jury of your peers; that means people who are like us. Everyone gets to be judged by a jury of their peers. It is a very important part of the law. Sometimes disabled people don’t have the choice to make their own decisions. This can be because decisions are made about us, without us, by people like social care commissioners, or care home managers. In the past, decisions about disabled people were usually made that way, but these days most people know better and try to make sure they think about what the disabled person wants and needs. The person deciding about you should ask you what you think and feel, and if you can’t speak for yourself, they should ask your family, friends or advocate to help them find out what you like and want. The government are thinking about how these decisions should be made, especially for people who can’t decide for themselves, or who might be what is called a risk to other people. That means that someone might hurt another person without meaning to, or without understanding what they have done. Usually when someone hurts another person, it will be the court and jury who decide what should happen. But, for some disabled people that decision can be made about them, without a court. We think that is a form of discrimination – it means disabled people are treated differently from other people, because they are disabled. At LDE we asked our members what they thought about these decisions and changes. We found out that everyone agreed some of these changes would be bad. Often disabled people, families and providers disagree a bit, but everyone agrees some of these changes would make things worse than they are now. Everyone was worried about the manager of a service being the person who decides about the disabled person. Learning disabled people are especially worried that this will be like going back to the days of the institutions. All of our members who told us what they think about this said it should be an independent person who gets to make decisions. Otherwise it will be like the judge, jury and gaoler being the same person. There won’t be anyone to help, or to appeal to if you don’t agree with the decision. We do not want to go back to the days of the institutions! We were all worried about the change in language to describe people as being of ‘unsound mind’. Learning disabled people and their families don’t really understand what this is supposed to mean. There’s no precise definition, it’s stigmatising and it doesn’t make any sense. We think people who do things like throw themselves out of planes on the edge of space to set records are probably of unsound mind, but people support them to do what they want to do. We don’t understand how this would apply to people with learning disabilities. We will make sure what members tell us is fed back to people making decisions on the law, the policy leads in government as well as sharing it with other groups and organisations who are worried about the changes to the law too. LDE are working with other organisations to join up on what we agree to share ideas, influence more and be a stronger voice together.